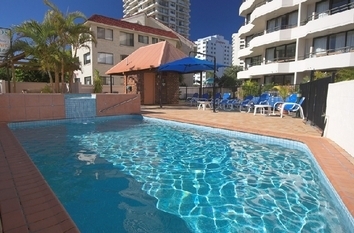 Barbados Holiday Apartments are located at beautiful Broadbeach on the Gold Coast, Queensland, Australia, offering bright 2 bedroom apartments that reflect the fantastic surroundings. 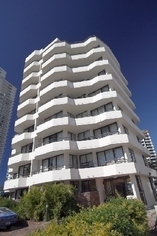 We have 7 levels of 15 spacious 2 bedroom apartments (2 units per floor only) and a Penthouse located on the 8th floor. 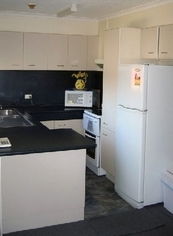 All apartments have an ensuite to the Master bedroom, with separate shower and toilet. We are only 200m from the beach, and walking distance to Neicon Plaza and Oasis Shopping Resort, with Monorail access to Jupiter's Casino. There is Wireless Broadband Internet available. There is a $30 Charge per Extra Adult and $20 Charge per Extra Child. 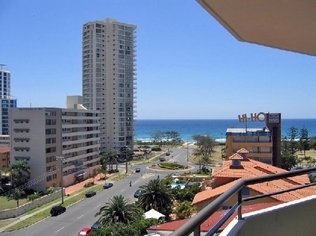 The Gold Coast is home to dozens of attractions, activities and tours catering for all interests and ages. 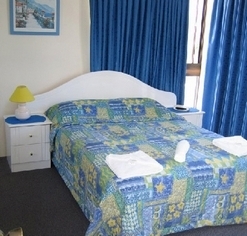 If you are after a thrill you cant go past the four main theme parks Dreamworld, seaworld,movie world, and wet'n'wild. 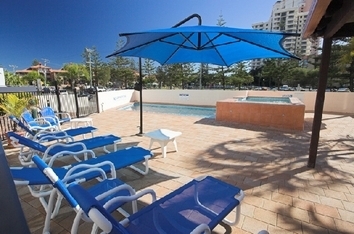 Sightseeing tours cover the Gold Coasts beautiful and extensive waterways and day trips to nearby Stradbroke Island. Escape to one of the many national parks in the hinterland for walking trails, awesome views and waterfalls.